High Sierra creates gear for the adventurer in mind. They have been making products since the late 70’s and usually do a very good job with regards to durability and design while keeping it very affordable. 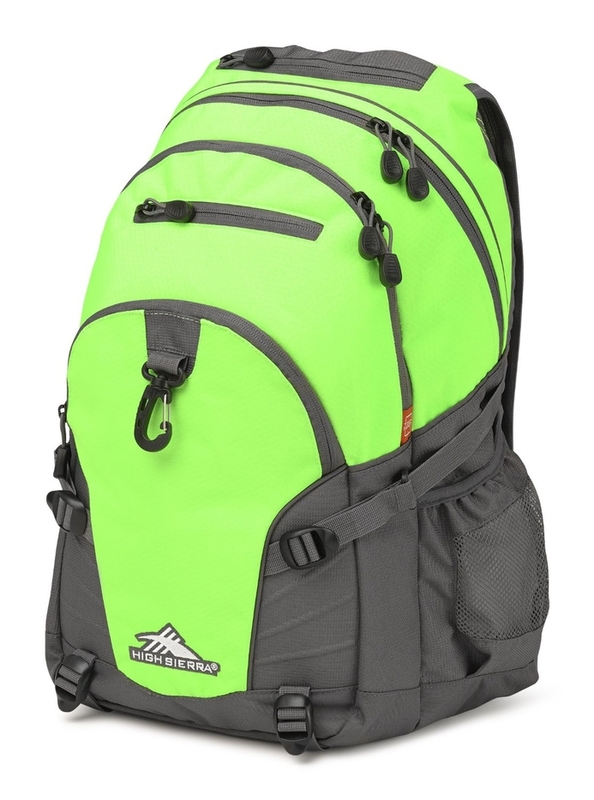 The High Sierra loop backpack is a daypack that has caught on in popularity. 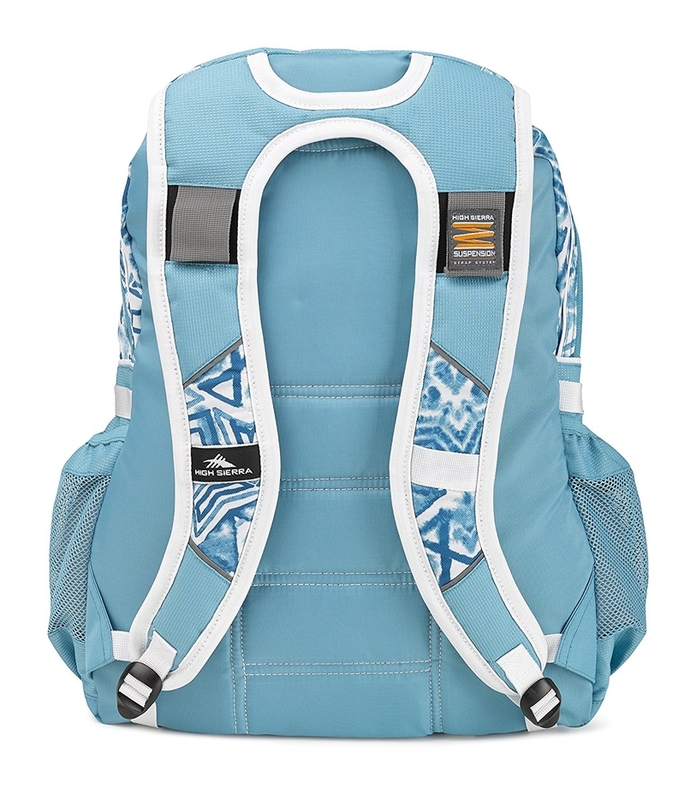 However, it can be a great daypack or one that you will regret purchasing. It is all a matter of how you plan on using the High Sierra loop backpack. If you’re looking for a more thorough review and see what concerns I have with this bag then please continue reading below. The High Sierra Loop Backpack is one good looking daypack. It boasts an impressive 33 different and unique designs. 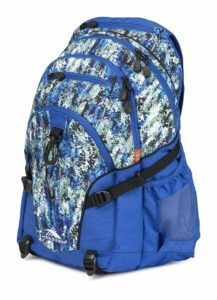 They offer everything from your traditional all black daypacks to day packs with pineapples, butterflies, camo and much more. 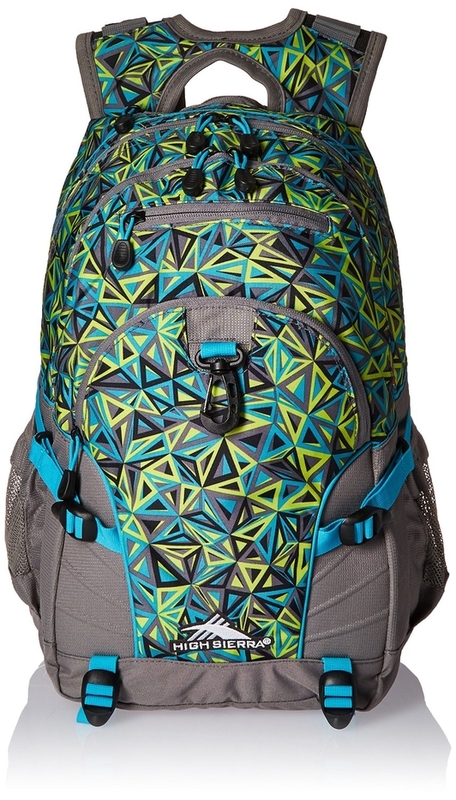 Not only did they do well with the different colorful designs but they also did well with the overall appearance and silhouette of the daypack. It looks very sleek and modern. Like something you would see anyone who keeps up with fashion or style wearing. But even aside from the looks it also has the daypack look at feel. 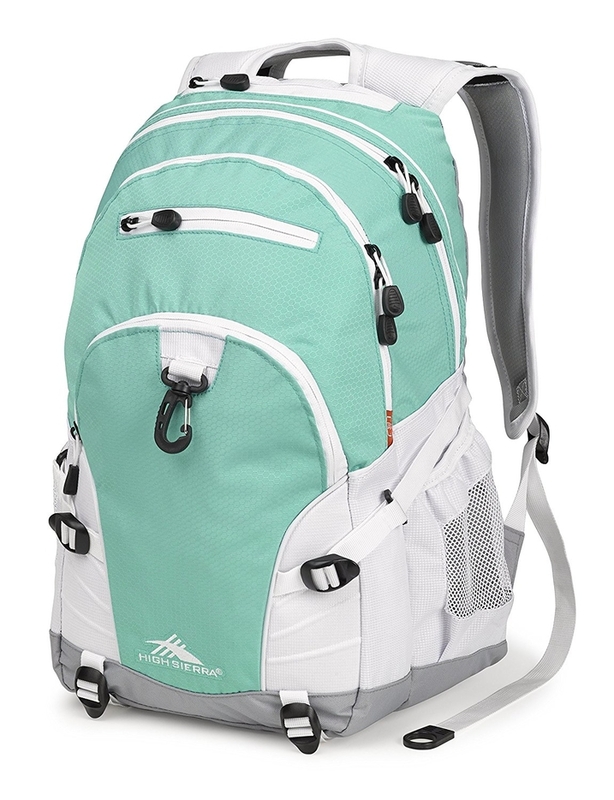 It is a great looking daypack that gives off a sense of adventure and exploration. Unfortunately just because something looks so great and looks like it would be awesome to carry around, doesn’t mean that it will necessarily be comfortable. The High Sierra Loop backpack is one of those daypacks. For style and appearance alone the High Sierra Loop backpack is almost impossible to beat and gets 5 out of 5 stars. Let’s take a look at some of the concerns however, with regards to its comfortability and daily use. The High Sierra Loop backpack may look like a fantastic bag but when it actually comes to wearing it, that’s where the problems begin. 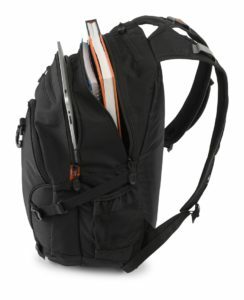 High Sierra decided to create the ‘Loop’ backpack with an actual loop connecting the two shoulder straps. In theory this sounds like it could be a good idea and definitely looks great but it has the exact opposite effect, at least for me. The issue I run into with this daypack is the fact that the ‘loop’ actually rubs against my neck. It might as well be made of sand paper! 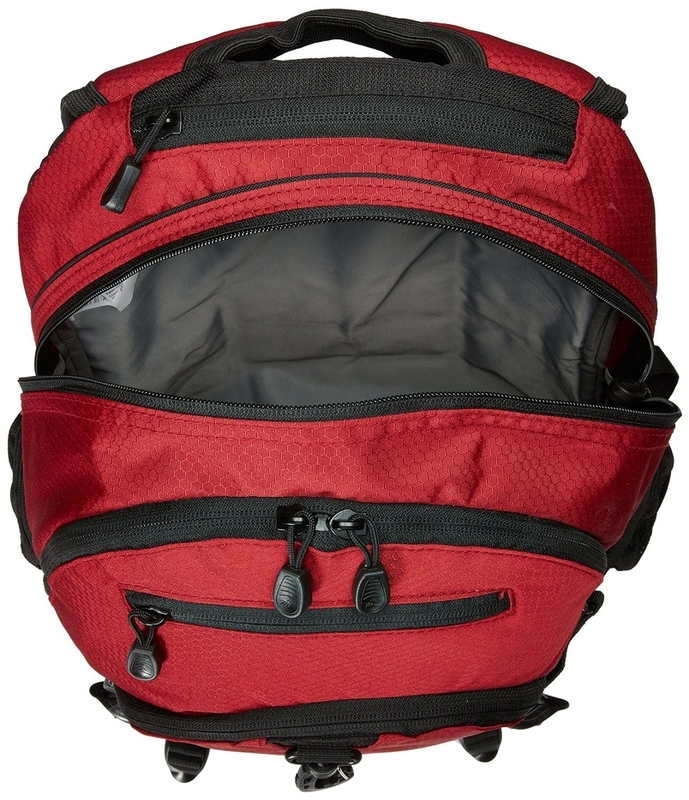 If you’re still looking for those great designs without the neck pain from the loop, check out their High Sierra Fat Boy backpack then. Anyone looking for a marketing job should probably throw their resume in over at High Sierra. Just bring up the idea of using a focus group for their products and you’re a shoe in. I don’t think their current people know what that is. Okay, maybe that’s a little harsh and I’m sure there are plenty of people who this bag works fine for but I’m not one of them. Alright, enough about the, ‘loop’, let’s move on before I start to get a headache thinking about it. Aside from the loop, the High Sierra Loop backpack did get the straps on this bag right. Thank goodness or they probably would have been looking at a 1 star rating for comfort. 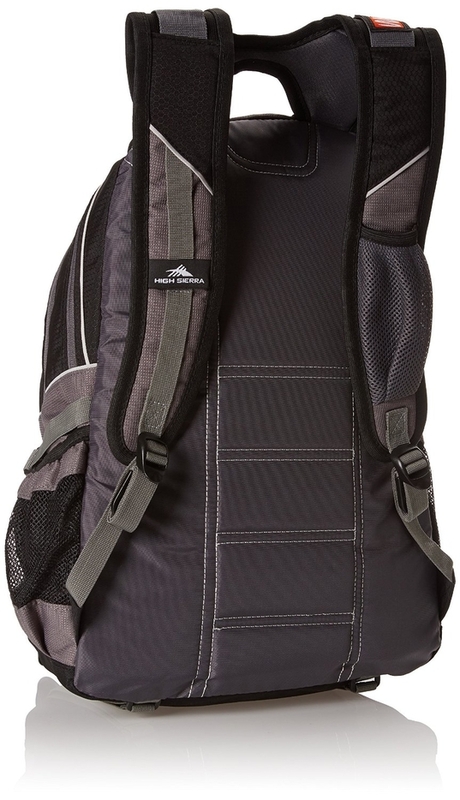 The shoulder straps are padded straps that are very comfortable even when you’re running around with a full daypack. YAY marketing team, maybe they aren’t so incompetent after all! Comfortability for the High Sierra Loop backpack gets an abysmal 2 out of 5 stars. Let’s move on to durability, where unfortunately the disappointment slightly continues. When you think durability you probably think of something tough, rugged, something with quality. Now find a thesaurus, (do they even make these on paper anymore?) preferably online, look up those words I just mentioned and find the antonyms for them. That’s what we have here! Now I’m being a little mean here but it doesn’t go unfounded. High Sierra usually provides good quality gear but not so in this case.Sure it does have some decent qualities like being water resistant (not waterproof). This is because of the nylon lining on the inside which helps repel water. But that’s about the only good thing it has going for it with regards to durability. The High Sierra Loop backpack actually does a decent job of being a daypack if you’re carrying some light materials, clothing and items like that. But that’s all it should be, just a light daypack. As soon as you start thinking this is a durable daypack you start flushing money down the drain. I used this pack both for light materials as well as testing the limits with heavier books, in the same way a high school or college student would. Wow this thing just frayed apart and about ripped the strap off after only two months of use! If I wanted to waste my money on something that’ll be useless after two months, I’ll just go buy the new Call of Duty. This is such a disappointing failure on the part of High Sierra. They know that their daypack will be used in a number of different ways and they don’t reinforce their backpack’s straps where the most stress will be placed?! Poor Poor Poor. Finally the cherry on top that does it, is the fact that there is no warranty on this item. NONE!! Okay enough ranting, time to move on. Durability for the High Sierra Loop backpack is quite frankly disappointing to say the least. I can’t say for their other backpacks, maybe they are designed differently. This one, however, gets a low 1 out of 5 stars, only because it is somewhat rain resistant. The High Sierra Loop backpack’s functionality gives it a few redeeming qualities. Its functionality is what you would expect from a modern daypack. 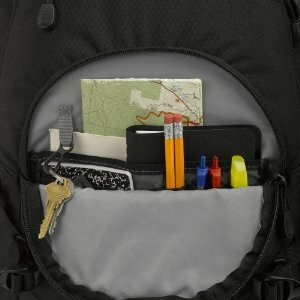 This daypack from High Sierra has a dedicated sleeve just for a tablet along with a separate media pocket. I’ve used the tablet sleeve and it works as intended so they at least got that right. The compression straps are great; they allow you to basically shrink the pack if you don’t have much in it. The bottom straps held up really well for holding onto other items also. It kept them secure and close to the pack, with no concern that it would come undone or fall out. One last observation is the amount of pockets this thing has. Alright High Sierra, I see you making up some ground here, not too bad. It has numerous interior pockets, around 11 I believe as well as roughly 7 exterior pockets along with card slots. It really is built with an adventurer in mind. 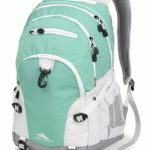 The functionality for the High Sierra Loop backpack is on point with some of the best daypacks around. It provides ample storage and additional support with its straps, not to mention some spaces for the person who just has to have their tech with them. All said and done this backpack gets a 5 out 5 stars. All in all this bag has its pros and cons that cannot be overlooked. It has some great style. The variety of bag designs and colors are impressive and I myself couldn’t make up my mind on which one I wanted to get. The comfort of the High Sierra Loop backpack is a pain point in regards to the actual ‘loop’ rubbing against the back of your neck, however, the straps were extremely comfortable. The durability is the most frustrating part of this review. If you spend your hard earned money on a product, it better damn well work. After failing on me after two months I just can’t get behind this product, especially since there is no warranty. Finally the functionality of the High Sierra Loop backpack is up to par with what you would expect to find in a versatile daypack. It brings the High Sierra back from complete garbage but not enough to warrant me to actually recommend it to anyone. 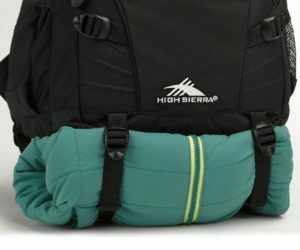 With all of that said and a fair price for this backpack, the High Sierra Loop backpack receives a total of 3 out of 5 stars. 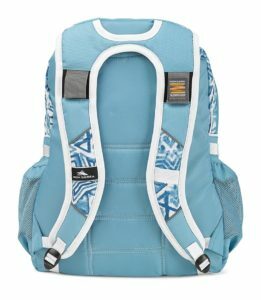 I wouldn’t recommend this daypack if you are looking to do some serious travelling but if you use it occasionally with some light loads it should hold up fine. If you’re still considering this daypack for some reason, you can get the High Sierra Loop backpack here.